Dr. Miller obtained his undergraduate degree from David Lipscomb University and a medical degree from University of Health Sciences' Kansas City College of Osteopathic Medicine. He completed an internship at Westview Hospital in Indianapolis and was a resident in the San Jacinto Methodist Hospital Family Practice Residency Program. 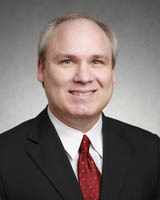 He is president-elect of the Tennessee Osteopathic Medicine Association.